Regular physical exercise and balanced diet is necessary to control obesity and stay to be healthy. These two factors are the key factors to control weight and stay fit. Regular Exercise protects from many diseases like diabetes and cardiac problem and it also stimulate the immune system which help us to defend against illness. If someone adopts an exercise free lifestyle it means that he/she is inviting diseases and disorders. A major problem these days is childhood obesity that is due to unhealthy lifestyle .The best remedy for childhood obesity is physical exercises. People do exercise for many reason for example building muscles, to protect and make strong their cardiovascular system and many people do it just to pass their time. It does not matter that what is the reason it is always beneficial for health to do exercise. It is suggested that every person should do exercise at least 30 minutes on daily bases to stay healthy. There are some types of exercises. This type of exercise is performed to improve the flexibility of the muscles and joints. Common ways which are used in flexibility training are stretching and bending different body muscles. Flexibility Exercise helps in preventing muscle rigidity. These types of exercises are done with warm-up session in start and end of the flexibility exercise. These warm up session protect from muscles pain and in the accurate recovery of the muscles after exercise. This type of exercise known as cardiovascular exercise it gives strengthens the muscles and promotes the cardiovascular system survival. These exercises maintain a specific heart rate. 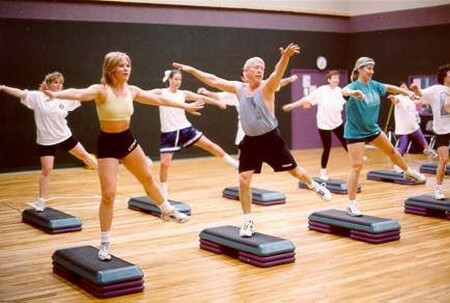 The aim of aerobic exercises is to enhance the intake of the oxygen to the body cells. Aerobic exercise is known as the best way to lose weight. This type is also known as weight lifting exercises. People do Anaerobic Exercises to build muscles and increase the size of their muscles. In these exercises, muscular activities like functional training, weight training and sprinting are performed. These all were done followed by a cooling session. Some common activities which are done in these exercises are pull-ups and sit-ups, push-ups and squats and rowing. These exercises are performed for short period of time. No specific time and place is needed for these exercises and theses exercise can be start at any age. It’s never too late to start exercising. If someone is hesitant to go to gym and to do exercise outdoor he/she can buy exercise equipments and can do exercise at home. Researches proved that exercise also helps to reduce depression and it improves your mental health. On the other hand, too much exercise is harmful for your health; it is done without proper diet and time. If it is done in such case, cells of body start using their proteins to gain energy. It also increases the chances of other problems like stroke. It is recommended that pregnant women and other people with medical complications should consult their physician before doing any exercise.